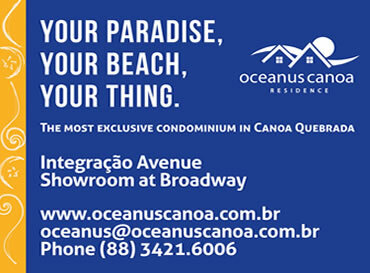 Canoa Quebrada is a great place to invest in Brazilian Real Estate. Unspoilt sandy white beaches low priced beachfront lots and with new developments in the planning real estate values are set to rise. Canoa Quebrada is 165 kilometers southeast of Fortaleza, a city of some 2 million plus. Pinto Martins International Airport, just outside Fortaleza, has direct and connecting flights to Europe and other major cities within Brazil. From there, it’s about a two hour drive along the coast to this Brazilian tropical paradise.